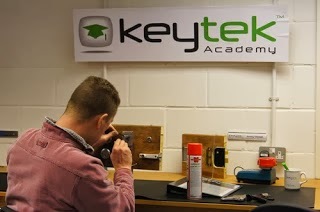 For over four years now Keytek® Emergency Locksmiths have been running a Locksmith Training Academy in Poole, Dorset to help set the standards for the locksmithing industry and provide support for it’s nationwide customer base. The initial goal of the Locksmith Academy is to offer those wishing to join the industry a gateway to a career as a professional locksmith through its locksmith courses. It is in fact the only training provider in the country that is able to provide a Level 4 Accreditation, which is the highest level of Accreditation within the industry. The Academy is not only aimed at new comers to the industry but also aims to help industry professionals enhance their skills in the latest techniques and technology. All of the courses are run at the Academy’s comfortable, state of the art facilities and are taught by highly experienced industry professionals. Those who have trained through the Keytek® Academy are able to benefit from further help and support from Keytek®. Ongoing 24hr onsite technical help from the in-house Technical Department. For Military leavers locksmith courses have always been increasingly popular particularly because it is so well suited to the characteristics required to be a successful locksmith and the ability to carry out skilled manual work. Next week’s blog post in the locksmith training series will be going into more detail about locksmith training for Armed Forces Leavers. To ease the transition for Military leavers in their resettlement period the government are able to provide funding through Enhanced Learning Credits (ELC). 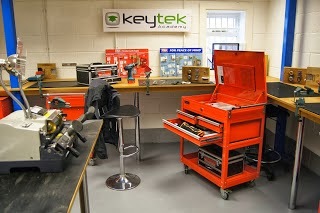 To find out more about using ELC funding towards a locksmith course at the Keytek® Locksmith Training Academy please visit www.locksmiths-training.co.uk/elc-funding.